Calling out families, walkers, and jogger fanatics! Help Fill A Dream is proud to announce we are the charity partner for the 2017 Sydney Seaside 10K & 5K Race! 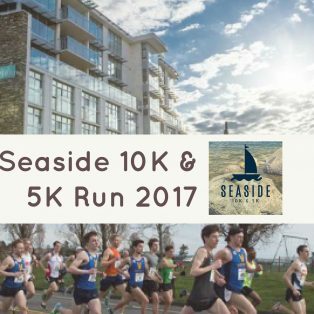 The 10K and 5K will start from Beacon Park at 10:00am (10:10am for the 5K) on Sunday September 24th, 2017. The route winds its way through the downtown core of Sidney to showcase local landmarks then loops back finishing along the beautiful scenic ocean walkway back at Beacon Park. With stunning ocean and mountain views combined with a flat course and lively post-event party, this is one race you won’t want to miss. And for more information about the race, please click here.